Conjugated linoleic acid (CLA) can improve insulin sensitivity and this may be the reason it causes weight loss. Fat is a dirty word to dieters. Avoid fat and you'll lose weight they say. Because fat is a rich source of energy that makes it a very efficient fuel. However, this efficiency also means that eating fat makes us fat, right? Well not necessarily. The problem with nutrition is that it is incredibly complex. Fat isn't just fat. Fat is a general terms for many different substances that have different effects in the body. In this regard some fats can actually cause weight loss. Conjugated linoleic acid (CLA) is the name given to a group of fatty acid found in the meat and milk of ruminant animals (goats and sheep). Microorganisms synthesise CLA from cud in the stomachs of these animals. Although dairy and ruminant meat are good sources of CLA, supplements are also available. Feeding ruminants high grass diets, rather than grain, increases the CLA content of their milk and so the CLA of ruminants varies with diet. Evidence suggests that CLA has significant weight loss effects. In particular, CLA can increase the ability of insulin to store glucose. This is significant because insulin insensitivity, the inability of the insulin receptor to bind insulin, is a probably cause of weight gain. By improving insulin sensitivity, CLA might reverse the underlying mechanisms that leads to the formation of belly fat and weight gain, thereby causing weight loss. Studies show that those who consume more dairy products have lower body weights. This might result from the higher calcium intakes found in milk drinkers. Because calcium can inhibit fat absorption it may cause weight gain. However, because dairy is also a good source of CLA, this might also explain the association between body weight and dairy consumption. Of course, both CLA and calcium might contribute to the weight loss effects of dairy. Although CLA is present in dairy, supplements of CLA are also available. The advantage of supplementary CLA is that the doses ingested can be more easily controlled, and higher intakes can be achieved. 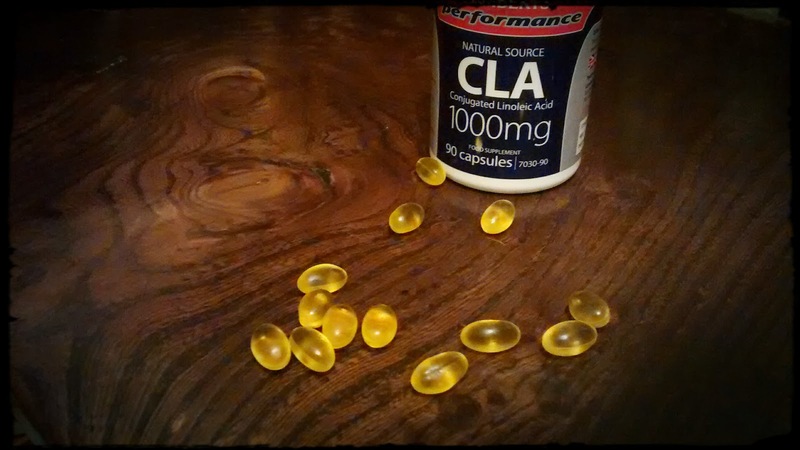 In addition, only some of the forms of CLA appear to have weight loss effects, and these tend to be the ones in supplements. Studies suggest that consuming around 1 to 3 grams of CLA per day can cause fat loss in most individuals.